It is a rare thing to have the financial advisor of Government of Rajasthan write a book on existentialist philosophies and even rarer to be requested to review it. It is truly an honour to read this and review it on my blog. 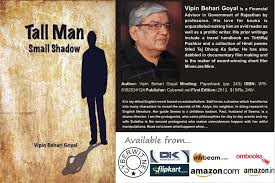 Vipin Behari Goyal is a Financial Advisor in Government of Rajasthan by profession. His love for books is unparalleled making him an avid reader as well as a prolific writer. His prior writings include a travel handbook on TirthRaj Pushkar and a collection of Hindi poems titled Tej Dhoop Ka Safar. He has also dabbled in documentary film making and is the maker of award-winning short film Mines are Mine. From all that I gathered from the net, this book has had it’s own share of controversies. The story line is very unusual and different from the usual books that come out these days. The author through this story has managed to challenge the age old traditions and beliefs we all are brought up with, in our society. The story has the author himself as the main protagonist Anupam who is the narrator. We have his wife, their daughter and few other characters like the guide of their daughter, her husband and a lovelorn neighbor. These very distinct characters come together to form a very unusual story line which defines love in the newest form possible which does exist in today’s world though is not accepted that openly. Yes there are a few parts in the story where it gets confusing in the narrative and the reader might have to pause to grasp it correctly. The author has experimented with a genre and his experiment has been successful to a very large extent I must say. This book is not for everyone as it is not a easy going read. It is for people who enjoy deep philosophical stuff and appreciate the alternate lives of people in today’s societies. 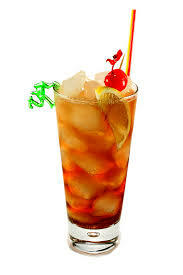 This book is like ice-tea – unique and different.